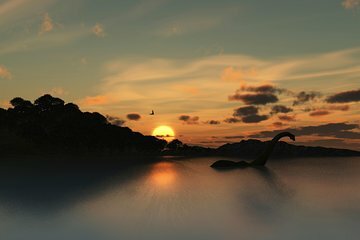 Förundra på den fredliga majestät Loch Ness på denna 12-timmars skotska höglandet dagstur från Edinburgh. Lämna Skottlands upptagna huvudstad bakom och resa djupt in på Highlands med en guide. Resa genom vackra Kilmahog på rutt över Rannoch Moor, och njut av en spektakulär utsikt över mäktiga Glen Coe. Tillbringa tid på Loch Ness - allmänt betraktad Skottlands mest kända sjö - och utforska Fort Augustus på din fritid. Stanna i den vackra viktorianska staden Pitlochry, och resa längs Loch Lagans stränder på väg tillbaka till Edinburgh. The scenery was gorgeous. A great way to see a lot of the countryside. But don’t sit at the front of the bus if you want to chat with your seat mate. The bus driver was militant about you being quiet while he talked...which was most of the trip. Didn’t appreciate constantly being shushed while being forced to endure a lot of insane stories that I couldn’t follow half the time. Also would skip the boat ride on Loch Ness. Not worth the money or time. As a whole, the trip was wonderful and the scenery awesome. Our bus driver / guide Brian was too neurotic according to costomer's speaking limits, and even positon of chair (it wasn't allowed to push your back to acomfortable position), smelly foods and all the hours he kept on speaking. He demandes silence when he was spaiking. And when he was playing music, too. His english was'nt the clearest one so all didn't understand his explanations very well. Sitting all day long silent in the bus was quite difficult for most. The atmosphere in the bus was overall very neuurotic. Othervice the information he shared with us was very interesting. I enjoyed listening to him. His instructions were very clear, too. Timetables during the stops were just fine. Because of the blizzard, we are not able to go to Loch Ness and the company offered us another tour to Loch Lomond. The day before they tried many ways to contact us to inform us of the change even by informing our hotel, very thoughtful company. The tour guide have a good sense of humour, played some interesting scottish song and the view along the way is amazing. If given a chance, i will prefer to go to Loch Ness because Loch Lomond tour during winter is a little boring. The company gave us a refund as our tour got cut short. I will definitely engage in this tour company if i will ever go back to Edinburgh for a tour. The driver was nice. The reason I gave it a two star is because we spent the whole time on the bus. We got to Lochness and we were there for two hours. Nothing to see apart from the boat ride that we didn't take. then hop back on the bus and another long ride back. Our tour guide Doug is was fantastic. Great sense of humor and gave us a great historical background of Scotland. The Highlands are beautiful and really worth seeing. We were picked up and dropped off at a convenient location to where we were staying. Really a great day. Our tour guide Dougie was a riot. He provided an impressive amount of Scottish history as we drove north from Edinburgh to the Highlands. He was funny and informative and when I thought I didn't have enough cash for the Loch Ness cruise, he offered to pay for it himself and asked me to pay him back later. I certainly didn't expect that and fortunately I had enough cash to make it work. It's a long day but totally worth it. The visit to Glencoe, halfway to Loch Ness, is worth the cost of the trip. 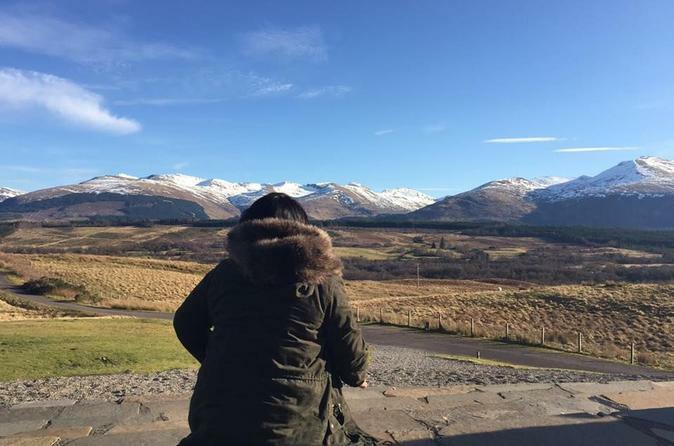 The view of the Scottish Highlands that you'll get in Glencoe is simply breathtaking. Fantastic tour. Dougie really knew his history and added huge insight to areas we travelled through. I would definitely recommend this tour to anyone as it was worth every cent. I would have liked to spend more time at certain stops than just enough time for a meal or a restroom break. Overall it was a great trip. One of the best things was they came and picked you up and dropped you off after the tour. Took a big bus around Scotland. Stopped off as some cool places. We did have some people on the bus that wouldn't stop talking but the bus driver asked them to respect others so we could all hear the history of what we are seeing.